I’ve stopped scrapping the API readings for Malaysia, as the MET department have stopped publishing historical readings on their website. The data has been updated to include all API readings up to 01-Sept-2015, and then from 28-Sep-2015 to 03-Oct-2015. The ‘gap’ in the dataset is because the MET department changed their webpage and removed the legacy data before I could get my hands on them. I’ve written to them for it, hopefully we get a useful response. For now though, there’s 24 months of data from Aug-2013 to Oct-2015 in the dataset. enjoy! To get all the readings by region in a single delimited file, click this link, I apologize for the messiness of the data and the files, I should tidy them up by the end of the month. Contact me directly for anything specific. Once again, your friendly neighbourhood techie has used this powers for the good of the country. 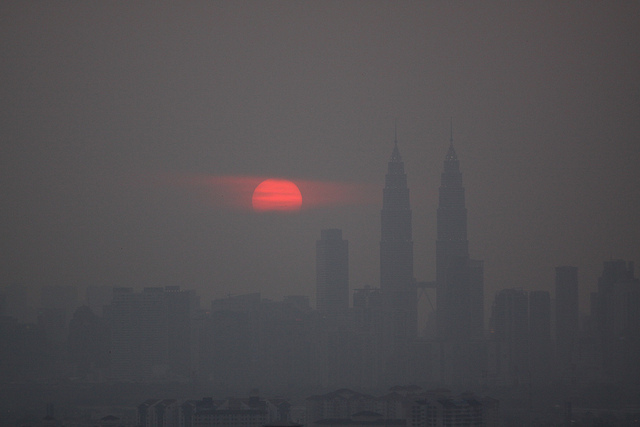 Last September, I scrapped all the procurement data from the Malaysian’s Government MyProcurement website, this time I scrapped all the Air Pollutant Index (API) readings from the Department of Environment (DOE) website. 52 locations x 1 reading/hour x 24 hours/day x 365 days/year = 455,520 readings.